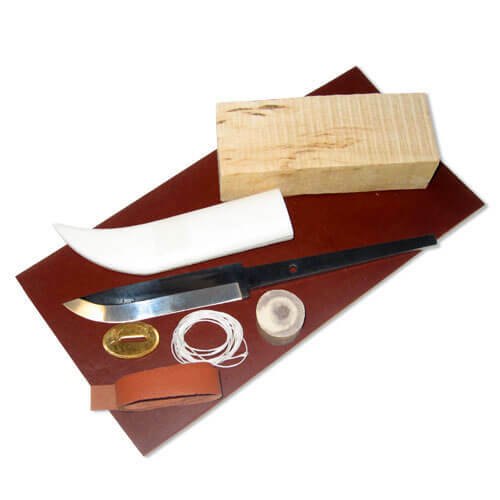 Craft your own sami-inspired Swedish Lapland knife with all components included. 10,5cm stainless steel blade from Karesuando. Handle-wood in curly-grained wood. Job specification included.